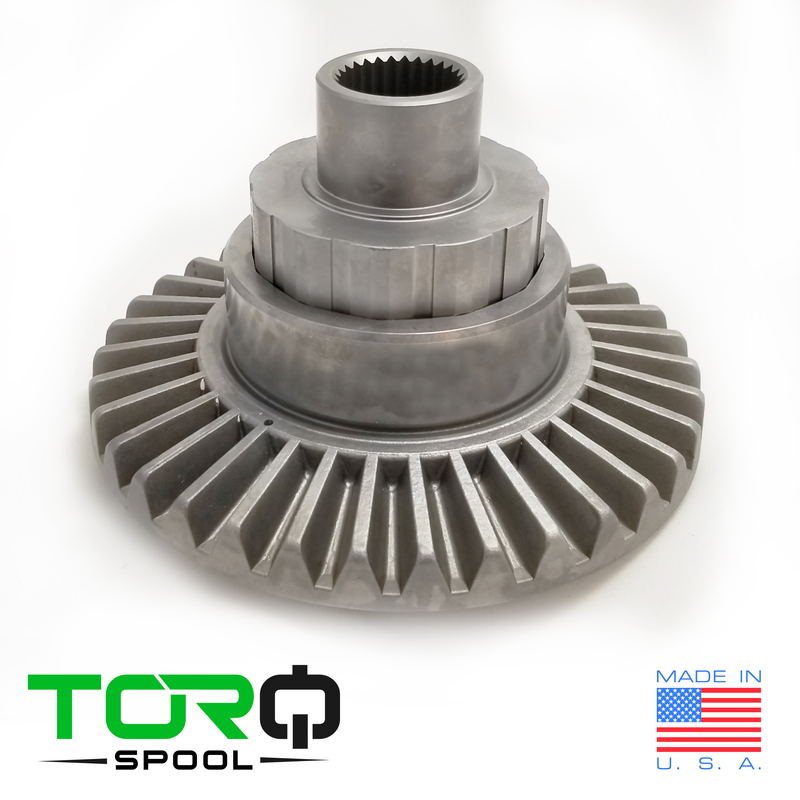 The TORQ Full Spool by Torq-Masters Industries Inc. is the first of its kind to the UTV Market, backed with a Lifetime Warranty, the Full Spool will greatly extend the life of your Polaris front differential, eliminating all the common failure points. The TORQ Full Spool is Rock bouncer proven and has helped drivers podium. How it Works: The TORQ Full Spool takes the place of your 2 stock hubs and sprague in the Polaris front differential. You will reuse or install new bearings. 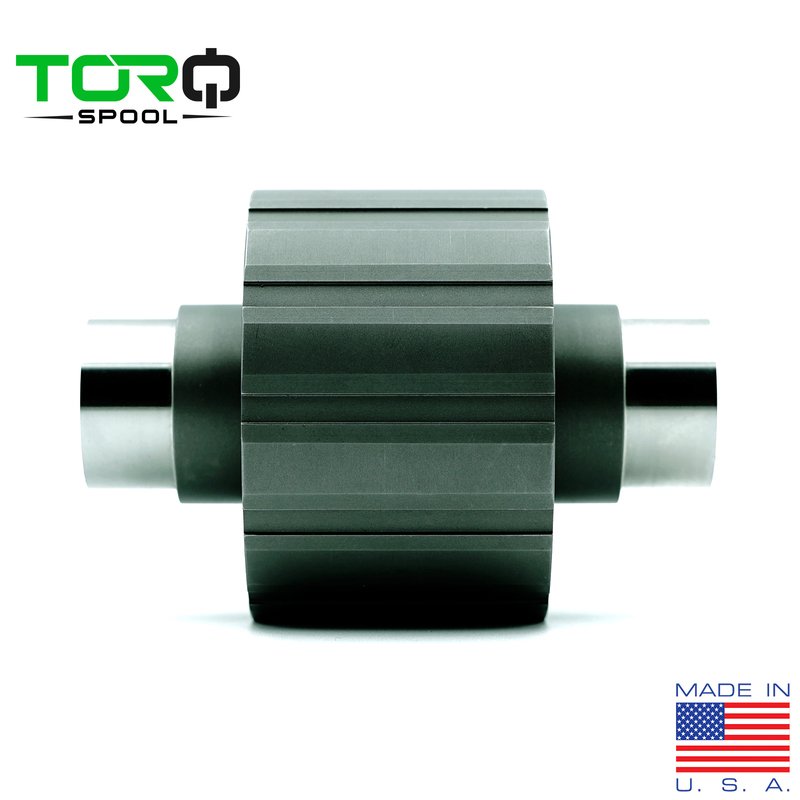 The Full Spool replaces all the small moving parts that are prone to failures, the sprague, armature plate, rollers, etc, and replaces them with solid American made 9310 hardened alloy steel. Because this is a Spool, both axle shafts will turn at the same speed which can take more effort to steer the vehicle. 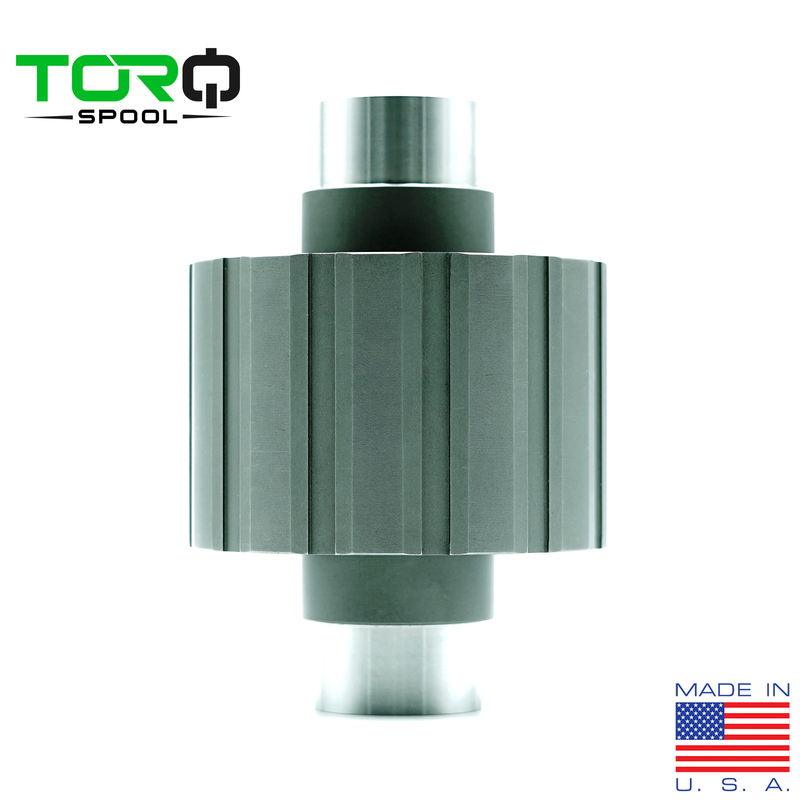 Also note, installing the TORQ Full Spool will eliminate the ability to shift into 2WD. ** Note, Ring Gear not included.